If you have any questions about the OBSIDIAN information page below please contact us. This good sized luxury yacht OBSIDIAN is a motor yacht. This 31 metre (101 foot) luxury yacht was produced by Azimut Yachts in 2003. Superyacht OBSIDIAN is a stylish yacht that is able to accommodate as many as 8 people on board and has around 3 crew. 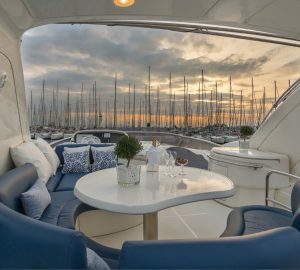 Ready for launch for 2003 her reasonably recent interior design exhibits the insight which are originating from Carlo Galeazzi/Marty Lowe and the owner who commissioned the yacht. The yacht's wider design collaboration came from Stefano Righini. The technical naval architect firm drawings are the work of Stefano Righini. Motor Yacht OBSIDIAN received her stylish interior designing from the interior design firm of Carlo Galeazzi/Marty Lowe. Italy is the country that Azimut Yachts completed their new build motor yacht in. After her formal launch in 2003 in Viareggio she was passed over to the happy owner having completed final finishing. Her main hull was crafted from composite. The motor yacht superstructure component is fabricated for the most part from composite. The length of the luxury yacht on deck is 29.81 (97.8 ft). With a width of 7.16 metres or 23.5 ft OBSIDIAN has reasonable size. She has a fairly shallow draught of 2.07m (6.8ft). She had refit maintenance and modification undertaken by 2005. This ship harnesses the power of two robust MTU main engine(s) and can attain a lightning max speed of around 32 knots. The main engine of the ship produces 2000 horse power (or 1472 kilowatts). Her total HP is 4000 HP and her total Kilowatts are 2943. OBSIDIAN is propelled by twin screw propellers. Her lively cruise speed is 28 knots which enables a range of 400. The good sized luxury yacht motor yacht OBSIDIAN can accommodate as many as 8 guests in addition to 3 professional crew. The main engines are two 2000 Horse Power or 1472 kW MTU. The Model type is 16V 2000 M91 diesel. Her top Speed is around 32 knots. 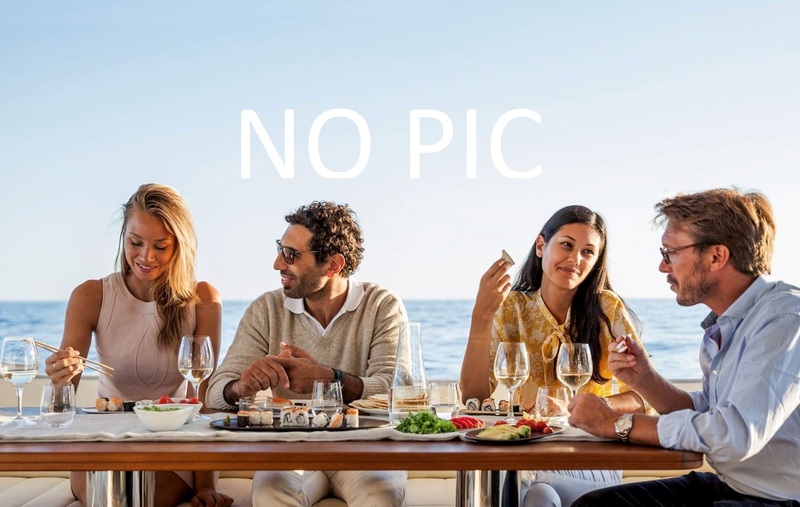 The luxury yacht OBSIDIAN displayed on this page is merely informational and she is not necessarily available for yacht charter or for sale, nor is she represented or marketed in anyway by CharterWorld. This web page and the superyacht information contained herein is not contractual. All yacht specifications and informations are displayed in good faith but CharterWorld does not warrant or assume any legal liability or responsibility for the current accuracy, completeness, validity, or usefulness of any superyacht information and/or images displayed. All boat information is subject to change without prior notice and may not be current.